The grouse plan released by the Interior Department today is freaking massive, and a nightmare to maneuver. 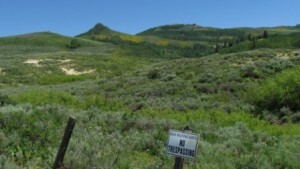 But we know how concerned everyone is over that damn bird, so we’ve cut through the crap to list what will no longer be allowed on 1.7 million acres of Colorado’s Western Slope. All mining, infrastructure and natural resource energy development is limited to a disturbance cap of three percent of the total surface lands. The closure of grazing allotments and pastures will be considered to manage the area as a forage reserve. New grazing permits will be dependent upon its effects on grouse habitat. Infrastructure right of ways, minor projects with special stipulations. It’s a good thing the State of Colorado dropped $62 million in tax dollars to preserve the grouse, otherwise the feds might have taken away our right to even look at our public lands Grouseland. No one else from the Colorado delegation has weighed in on the magnitude of the government’s actions, but we’re sure they’ve been super busy attending to matters of state that are just as important.